The La Flor Dominicana, Colorado Oscuro was introduced at the 2011 IPCPR and it was well received from almost everybody and I am no different in my opinion of this cigar – it’s a great cigar. 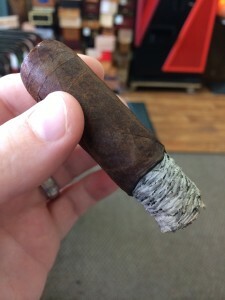 Unfortunately I just stumbled upon this cigar this past week…I say unfortunately only because I loved the flavors of this cigar and feel like I’ve missed out on a lot of time of being able to enjoy it. 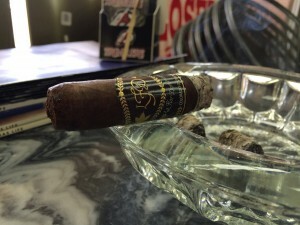 This is truly a great cigar – and has also has a great price point for all of its vitolas. 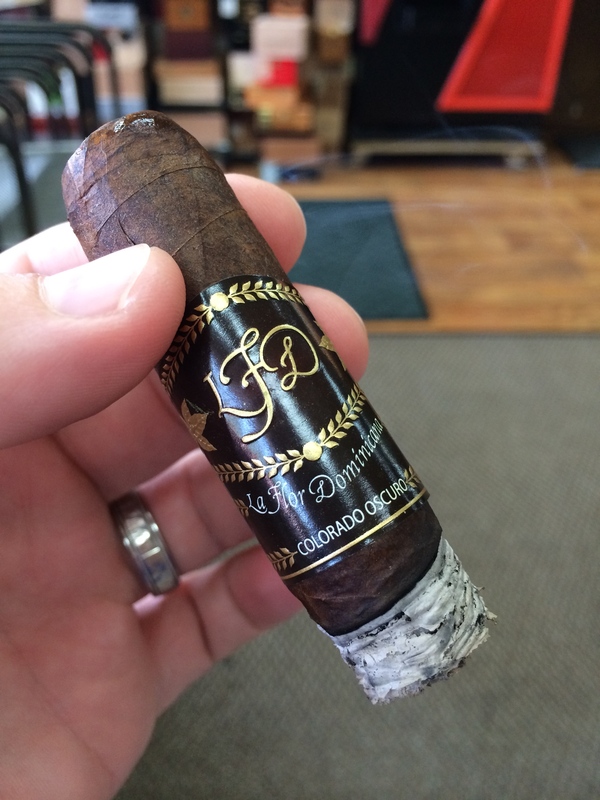 The interesting part about this cigar it that it is not your typical La Flor Dominicana (LFD) from Litto Gomez. 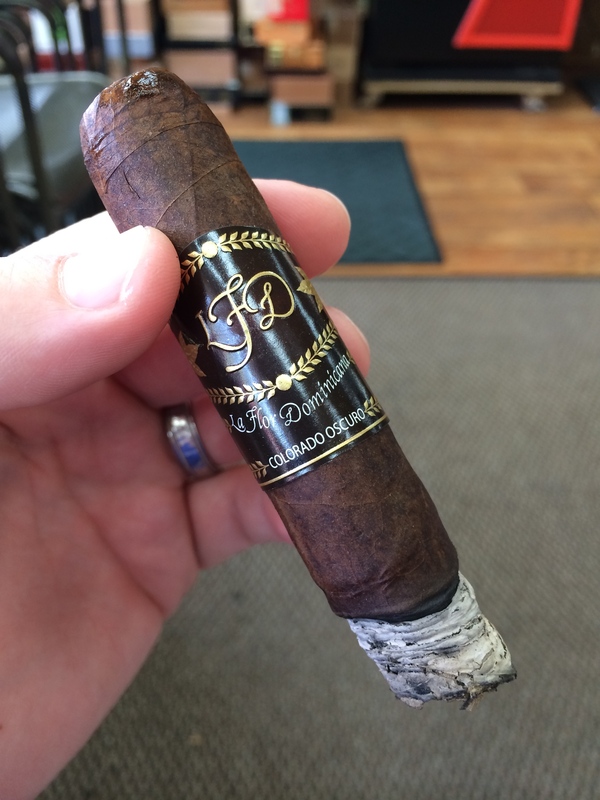 LFD’s are well known for packing some strength, but this cigar, along with the Air Bender by LFD, is an exception – it was a medium to full body with little to no strength. The entire time I was smoking it I kept waiting for the strength to kick in and it never did. For my palate this is actually my preference; I’m not a fan of cigars that punch you in the gut or make the room spin when you stand up because of their strength. Again, thankfully that wasn’t the case with the Colorado Oscuro. 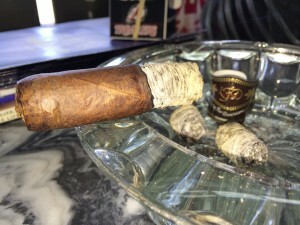 The flavors of the cigar along with its looks and the flawless construction made this a cigar that I truly enjoyed. This cigar was a very good looking cigar. In fact when I was perusing the cigars in the huge walk-in humidor at Pipe and Tobacco (a great, local B&M here in Little Rock) the first thing that drew me to it was the way it looked. It has a dark chocolate wrapper that resembled weathered leather – a very distinguished and refined look. It had visible seams and mostly invisible veins except for one prominent vein on the wrapper. It had no visual imperfections; overall it looked great. 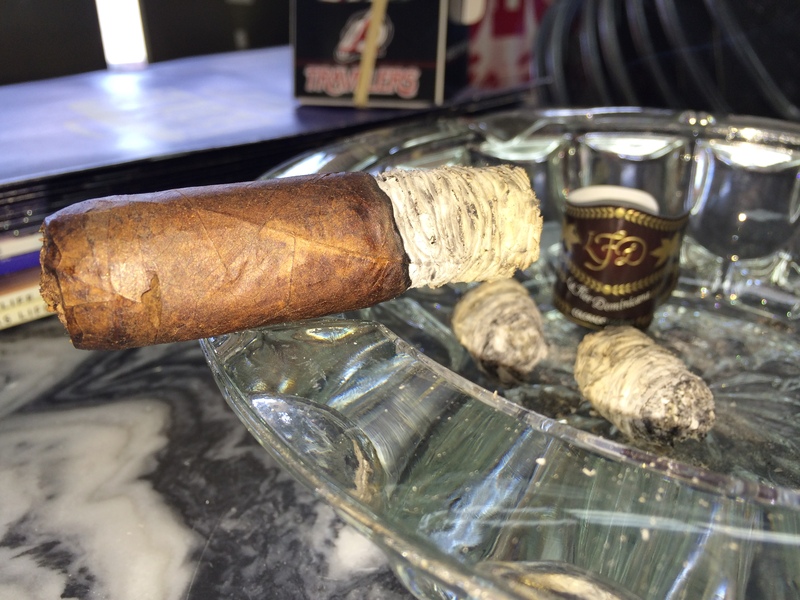 The burn wasn’t perfect, in fact it was a bit uneven for most of the cigar and even required a relight after I knocked off the first ash, but other than that I didn’t need to worry myself about the burn. It was uneven but didn’t need any special attention. 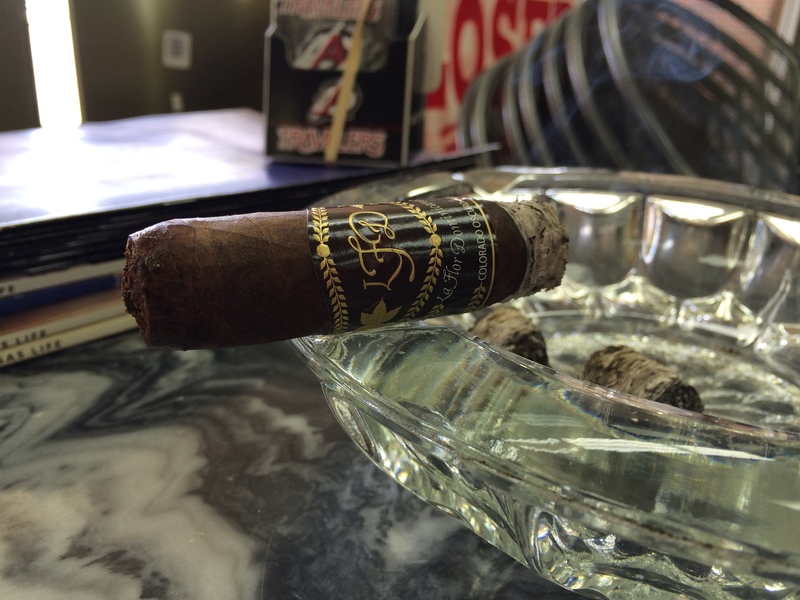 The Colorado Oscuro #4, lasted about one hour and ten minutes. 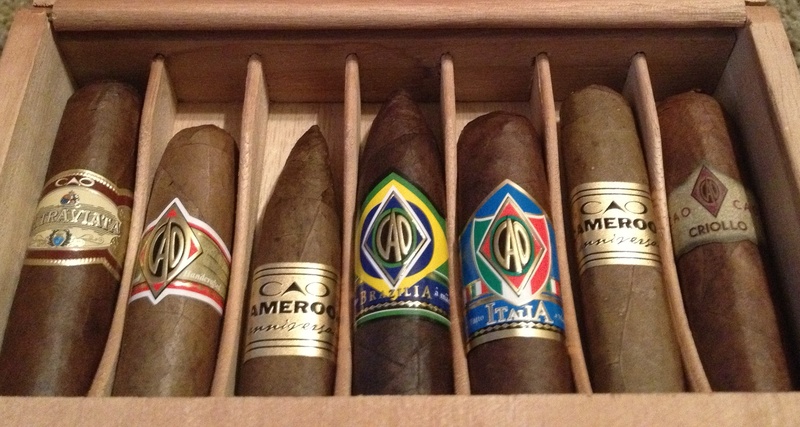 The draw for the entire cigar was absolutely perfect. It had just the right resistance on the inhale and produced a good amount of smoke on the exhale. 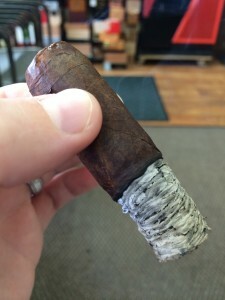 Whenever the construction, burn, and draw on a cigar is good it makes a good cigar that much more enjoyable – this was definitely the case on this cigar. 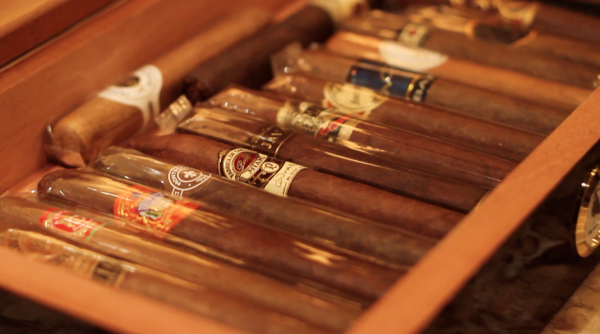 When I lit the cigar there were loads of spice upfront; along with the spice I could also taste wood and cocoa. All the flavors balanced well with each other. Very tasty. The draw was perfect and the burn started out fairly even with a whitish-grey ash. 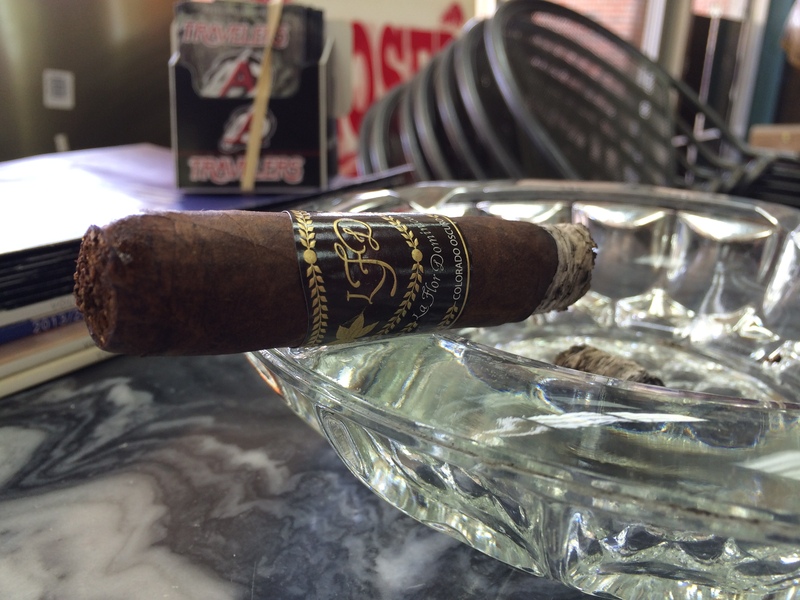 The heavy spice that was prominent at the light had completely died down once I got 10 minutes into the cigar. The predominant flavors were wood – cedar specifically, hints of cocoa, and it left a sweet taste on my lips. The burn was a lil wonky but there was no need to touch-up. The ash held on for about 1.5 inches and like I mentioned before I had to relight after I knocked off the first ash. Besides the relight it was a good start. No changes in the flavors: sweet wood with hints of cocoa. A nice added burst of flavor was a good punch of tasty, black pepper on the retro-hale. The burn still remained a little off. Once again, no change in the complexity – which isn’t necessarily a bad thing. Wood, hints of cocoa, sweet on the lips and black pepper on retro hale. 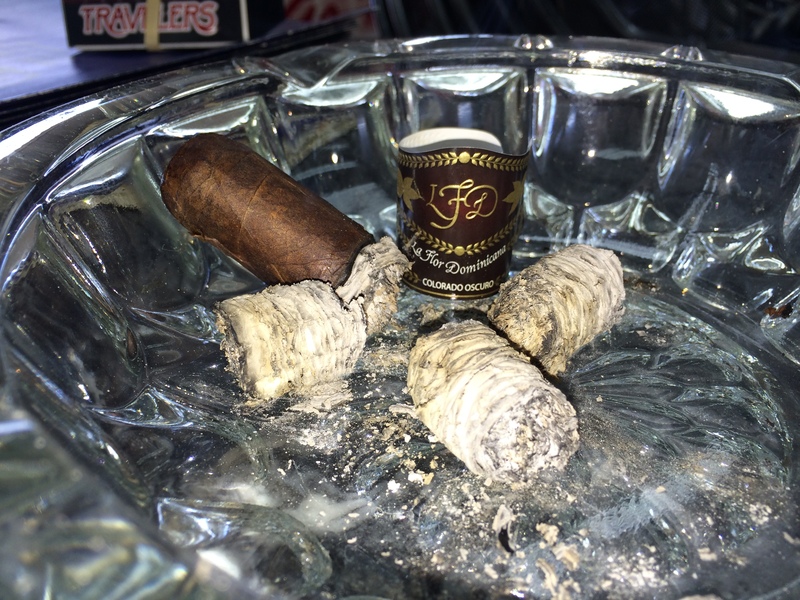 Once I started to get nearer to the end and the cigar had warmed up quite a bit the flavor turned a little soapy and bitter. It had a pretty white-grey ash, and the burn still wonky. Smoke again – Absolutely. I bought a #3 to enjoy after my next softball game. Golf or session cigar – Session cigar, it’s not long enough for it to be a golf cigar. Complexity – Not very complex, but still very good. This was an excellent cigar in reagards to construction, draw, taste and value. The only area that struggled a bit was the burn, but it wasn’t too much of a concern. 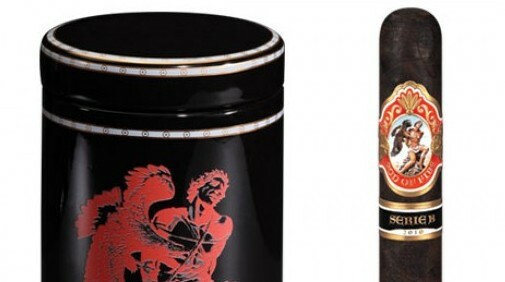 I expect that I will insert this cigar into my regular rotation as a good reliable go-to cigar. 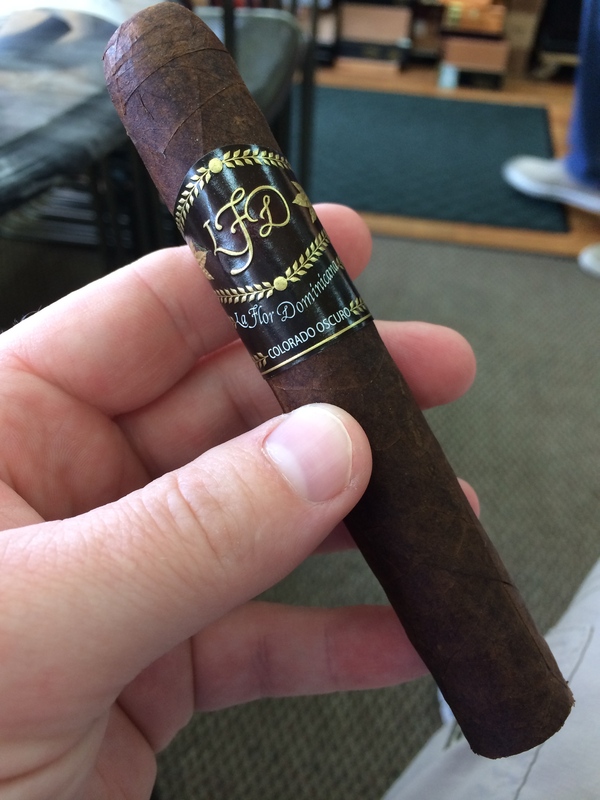 Well done La Flor Dominicana!